The infamous drug kingpin El Chapo evaded authorities for eons. He escaped from jail a number of times. Watching this from north of the border was somewhat amusing. Were the Mexican authorities that bumbling or was El Chapo that cunning? It turns out, he had $100 million reasons not to fear Mexican authorities. During the El Chapo trial taking place in New York City right now, it has been revealed that the former president of Mexico, Enrique Peña Nieto, allegedly took a $100 million bribe from Joaquin Guzman Loera, aka El Chapo. "Mr. Guzmán paid a bribe of $100 million to President Peña Nieto?" Peña Nieto was president of Mexico from 2012 to 2018. Cifuentes testified that Peña Nieto reportedly reached out to El Chapo when he was first elected president in 2012. Cifuentes said he requested $250 million from El Chapo in exchange for calling off the nationwide manhunt for him. El Chapo made a counteroffer of $100 million, which the president allegedly accepted. As a result, El Chapo would not have to stay in hiding. The testimony about Peña Nieto and the bribe is the most explosive allegation to date in the ongoing trial. If it is proven true, it means that the corruption by drug cartels has reached the highest level of Mexican politics. Cifuentes also testified that on at least two occasions, El Chapo gave the Mexican military between $10 million and $12 million to "either kill or capture" known associates of the Beltran-Leyva brothers, whom El Chapo was at war with. Cifuentes also testified that the Mexican federal police not only looked the other way in terms of drug trafficking, but sometimes also took part in it. Once, he claimed, traffickers gave the police photos of a number of suitcases packed with cocaine that were traveling by plane from Argentina to Mexico. The police grabbed the bags at baggage claim and sold the drugs themselves. Cifuentes is serving time for drug trafficking and his role in El Chapo's cartel.He was arrested in Mexico in 2013 and was extradited to the United States where he pleaded guilty to drug trafficking in a deal with prosecutors. During his lengthy testimony, he has admitted to a stunning number of crimes. He admitted to hatching a failed murder plot with the Hell's Angels in Canada. He also admitted to buying plastic explosives from the widow of a Honduran drug trafficker. He paid an Ecuadorian judge $500,000 to throw out the case of a military officer accused of working with El Chapo's cartel. Oh, and he also admitted that he later kidnapped that same officer when it turned out he was cheating El Chapo. 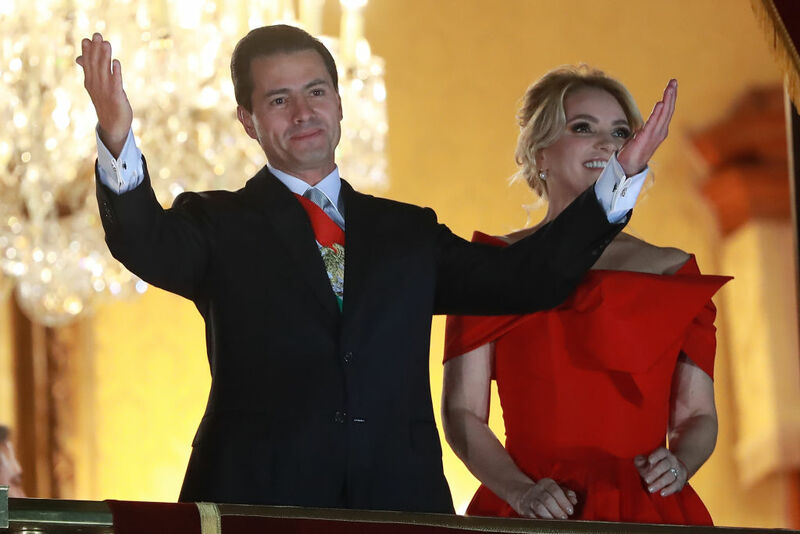 According to his 2014 wealth disclosure, Peña Nieto listed a total net worth of 45 million pesos and an income of 3.4 million pesos. At the time, those values were worth the same as $3.3 million USD and $180,000, respectively. His main assets included four houses, an apartment, land, art, coins, and jewelry. Peña Nieto immediately rejected the accusation, calling it "absolutely false and reckless."